Great decision-making skills? Technically savvy? Auckland Council is calling for applications from resource management experts to join our pool of independent hearing commissioners. We are looking for approximately 52 commissioners with significant experience and expertise in fields relating to resource management. Independent commissioners are responsible for making decisions on applications such as notified resource consents, plan changes and notices of requirement. Candidates must hold the Ministry for the Environment ‘Making Good Decisions’ accreditation or show they have enrolled to attend a training course for this qualification at the time of submitting an application. rural planning and land management. Applicants should be prepared for flexible working hours noting that this is not a full-time role (see attached FAQs for more information). Successful candidates will be contracted to the Auckland Council and will not be employees of the council. Work will be on an ‘as required’ basis at a set remuneration rate for a term that expires in June 2020. Preference will be given to applicants that reside within the Auckland region. Any enquiries, please contact Elizabeth McKenzie on 09 890 8118. 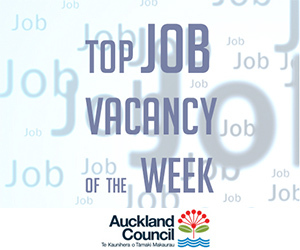 Applicants must apply via the Auckland Council website including a copy of their curriculum vitae, a copy of their accreditation from the Ministry for the Environment, and, if they wish to be considered for a chairperson role, an example of a recent decision they have written. Please quote job reference no. 93315. Click here to download the job description and FAQs.